Valentine's Day is the perfect opportunity to show your loved one how much you care, so why not treat the one you love to a break away at one of our delightful country inns? An English inn has everything you could possibly want for this special occasion: roaring log fires, delicious food, excellent wine, and perhaps even a four poster bed! Valentine's Day falls on a Thursday in 2019, so you can choose to celebrate on the day itself, the weekend before or even the weekend after! To make it easier for you to browse the offers, we have ordered the hotels and inns alphabetically by county. Also, please remember to bookmark this page as new Valentine's offers are constantly being added! 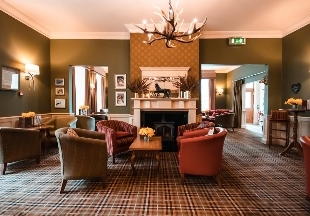 Stay at The Chequers Hotel on 14th, 15th and/or 16th February 2019 from £117 per room per night Dinner, Bed and Breakfast. 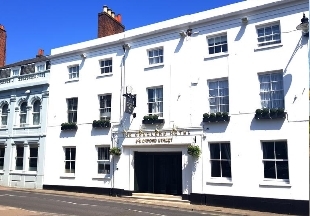 Located in the centre of Newbury in the heart of the Thames Valley stands The Chequers Hotel, once an coaching inn. Newly refurbished, The Chequers Hotel and its Oxford Street Kitchen and Bar has a vibrant feel, unique in the town. A three course Valentine's Dinner, Bed and Breakfast from just £99 bookable on the 14th, 15th & 16th February 2019. 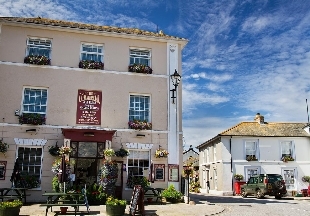 A traditional Cornish coaching inn situated in the historic Market Squarae of the old mining town of St. Just. Stay at The Macdonald Swan Hotel on 14th, 15th and/or 16th February 2019 from £293 per room per night Dinner, Bed and Breakfast. 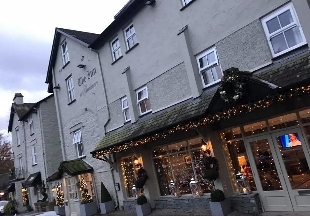 Spend Valentine's Day in the quaint and tranquil Lake District Village of Grasmere at the recently refurbished Inn at Grasmere. Stay for 2 nights Bed and Breakfast in February at The Fountain Inn and Lodge and get the 3rd night free! Book directly on their website. Link below. 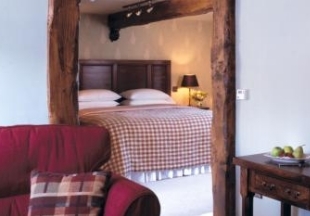 Stay at The Pheasant on 14th, 15th and/or 16th February 2019 from £205 per room per night Dinner, Bed and Breakfast. Take your loved one away to a luxury rural retreat with luxurious accommodation, good food and stunning countryside. 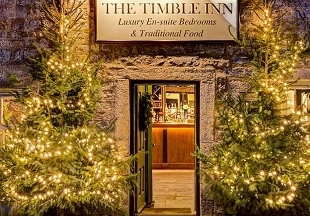 Stay at The Talbot Inn on 14th, 15th and/or 16th February 2019 from £139 per room per night Dinner, Bed and Breakfast. 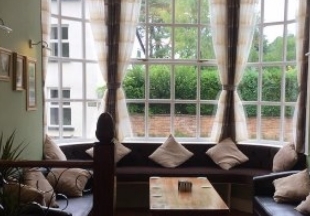 In the heart of the Surrey village of Ripley stands one of the countries most historic inns lovingly refurbished to accommodated the most modern of travellers. Plus, you can add on their Valentines Menu on one of those nights for just £70 per person. Want to add a special touch? For £25 you can add two glasses of champagne, chocolate dipped strawberries and rose petals on the bed for your arrival. 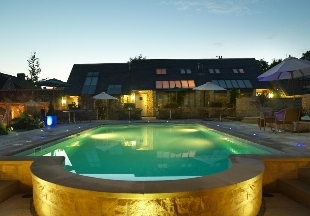 Stay at The Black Swan on 14th, 15th and/or 16th February 2019 from £239 per room per night Dinner, Bed and Breakfast. 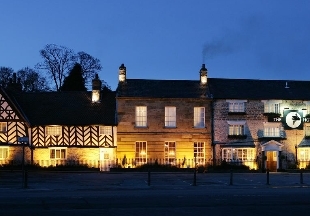 On the edge of the stunning North York Moors National Park is the market town of Helmsley, home to The Black Swan. 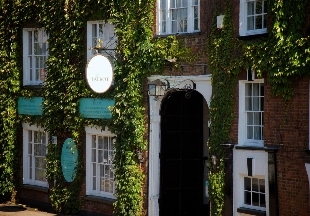 Boasting a 3 AA Rosette restaurant and cosy bedrooms. 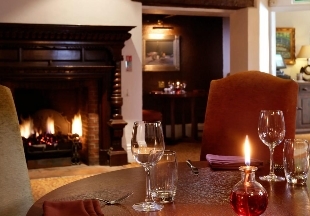 Enjoy a gourmet Valentine’s package at the Angel Inn at Hetton. The package includes an overnight stay, a bottle of English sparkling wine, handmade chocolates, a single red rose and breakfast in the morning. In the evening indulge in their famous six-course Tasting menu (also included). From £180 per person in a Studio or £190 per person in a Suite. Would you like to extend your stay? For just £127.50 per person, you can include Friday night too! This includes a three course a la carte menu on the Friday night evening and breakfast on Saturday morning. Stay at The Feversham Arms on 14th or 15th February 2019 from £250 per room per night Dinner, Bed and Breakfast. Does a secluded luxury reated surrounded by countryside sound like your ideal Valentines? Then look no further.